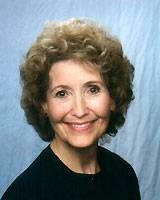 Donna States has been a Realtor in the South Bay area of Los Angeles County for over 30 years. She has sold and leased hundreds of homes and investment properties in Palos Verdes Estates, Rancho Palos Verdes, Rolling Hills, Rolling Hills Estates, Hollywood Riviera, Torrance, Lomita and the Beach Communities of Redondo Beach, Hermosa Beach and Manhattan Beach. Donna grew up in Manhattan Beach and has lived in areas along the coast from San ta Monica to Palos Verdes, where she currently resides with her family. Thus Donna has a good perspective on the differences between the areas and the comparative benefits. In addition, she has worked as a successful Realtor for well over 30 years, so she understands the dynamics of the real estate business and can counsel buyers and sellers as needed. Donna's knowledge of the South Bay properties includes the homes featuring ocean- and coastline-views in Palos Verdes Estates, Rancho Palos Verdes, and in the Hollywood Riviera section of Torrance, as well as the equestrian and view properties of Rolling Hills, Rolling Hills Estates and adjacent areas. She has experience helping clients with purchasing investment properties and handling IRC §1031 tax-deferred exchanges. As a real estate broker, Donna is licensed to operate a stand-alone real estate business, hire and supervise agents. By choosing to affiliate with a major real estate company instead, buyers and sellers benefit from both her exemplary knowledge and experience and the resources of a major real estate company. Donna enjoys working with both buyers and sellers, giving each her undivided loyalty and enthusiasm. With her experience handling corporate relocations, she knows how to work under the transferee's time constraints, and she provides the extra background information and guidance that they need to make informed decisions. Donna has experience with investment real estate and tax-deferred exchanges, as well as the sale and leasing of commercial properties and vacant lots. She has handled both tax-deferred exchanges and delayed exchanges. If you would like to speak with Donna about your needs, she can be reached by telephone at (310) 987-0711 or by e-mail at PalosVerdesRE.com .